LOS ANGELES — July 5, 2017 —After years of playing on some of the biggest Beach Boys’ hits such as God Only Knows, Good Vibrations, and Help Me Rhonda- first call session pianist of the Wrecking Crew Don Randi will release a jazz rendition album of the best of the Beach Boys as a tribute to Brian Wilson. “Brian was always a joy to work with because it was such great music. I’ve always messed around with Jazz versions of some of the hit’s we’ve worked on together and he loved them, so we decided to make a full jazz album,” Randi said. The jazzy bebop fusion album features Wrecking Crew session drummer Hal Blaine, who has played on six consecutive Grammy Award winning songs, guitarist John DePatie, bassist Chris Roy, percussionist Peter Korpela, and legendary pianist and composer Don Randi. Randi, owner of the world famous Baked Potato jazz club who has worked with musicians such as Frank and Nancy Sinatra, The Monkees, Sonny and Cher, Simon and Garfunkel, The Carpenters, and more; describes the album as an exploration of music.  The album is set for release this August and is one of several jazz renditions created by Randi including ‘Rubber Soul Jazz’- the first instrumental Beatles jazz album and ‘Beatles Revolver Jazz.’ For more information, promotional requests or to set up an exclusive interview with Don Randi, please contact telaia@alloutloudmedia.com.